Soho Accessories "You Pick" Your Giveaway Winner !!! BIG CONGRATS TO SHEREE ON HER WIN ! HOPE YOU ENJOY YOUR NECKLACE!! Don't forget to visit the girls at Soho Accessories for some great chic jewelry and handbags for the coming spring season!! 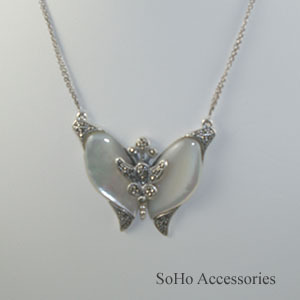 They have many butterfly items on their site as they are always just so pretty and colorful. You can visit their website HERE . Thank you again Ellen for such a great giveaway! !